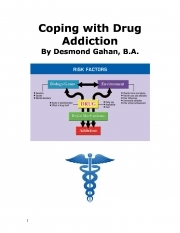 Description of "Coping With Drug Addiction (eBook)"
Desmond Gahan is involved in writing, editing and publishing. He has many interests, including writing, editing and publishing. Des is resident in Ireland. Reviews of "Coping With Drug Addiction (eBook)"